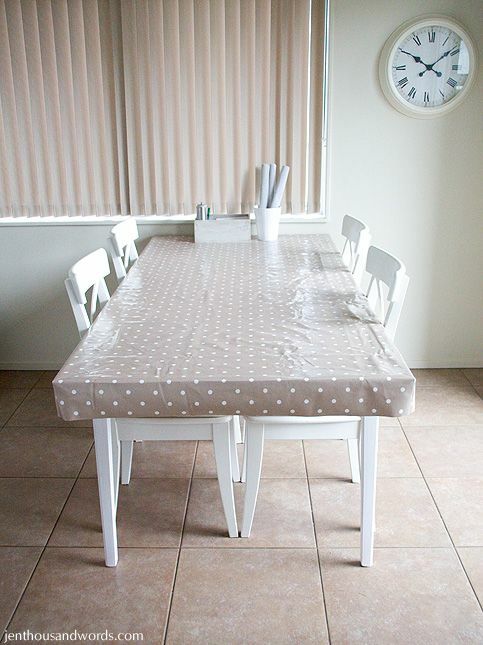 And then I bought some oilcloth for the top. 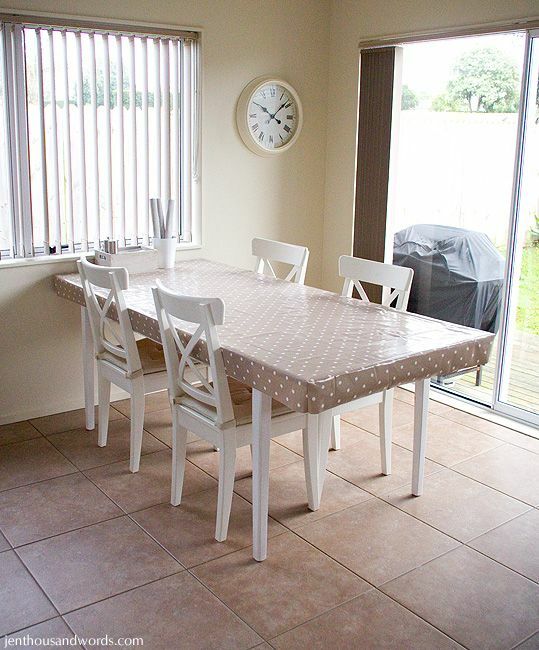 I wanted something neutral so that it would still work if I changed my mind about my latest favourite colours. 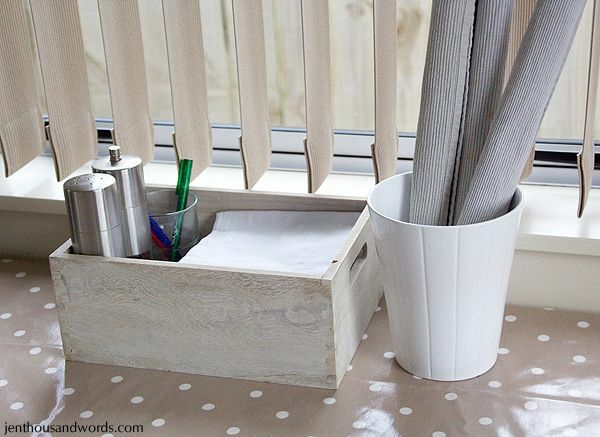 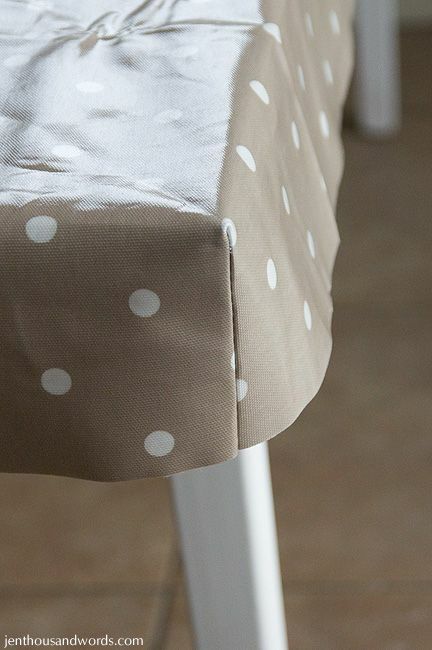 I decided on an adorable taupe polka dot oilcloth. 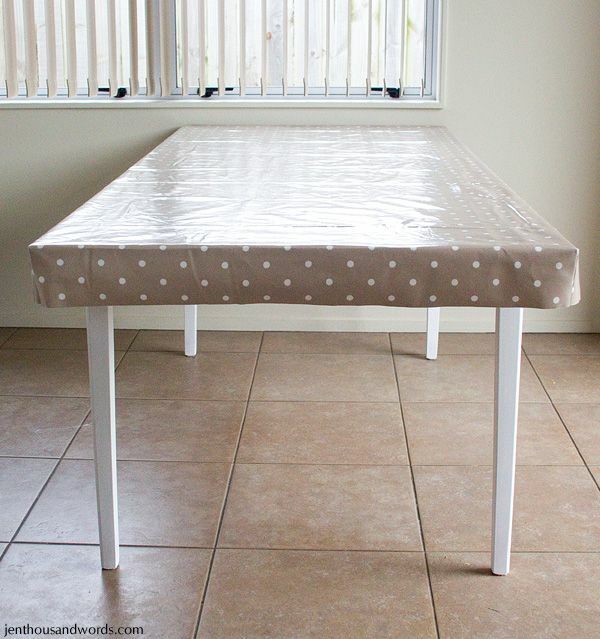 I had intially planned on wrapping the top of the table with the oilcloth, stretching it tight and fastening it underneath. 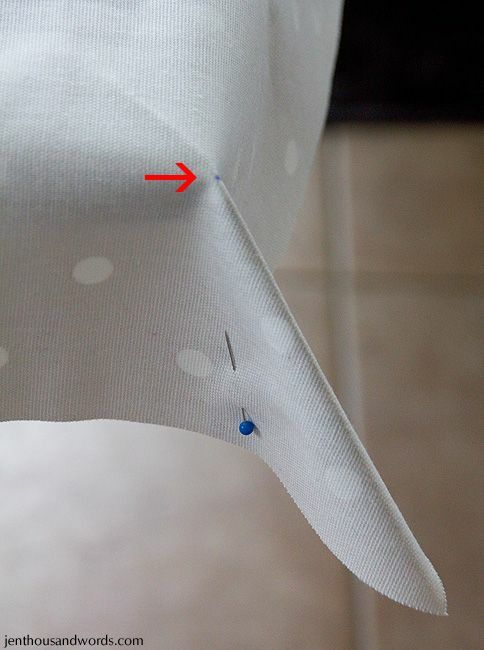 However, even with hanging, ironing and weighting the oilcloth the creases are still showing. 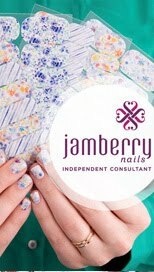 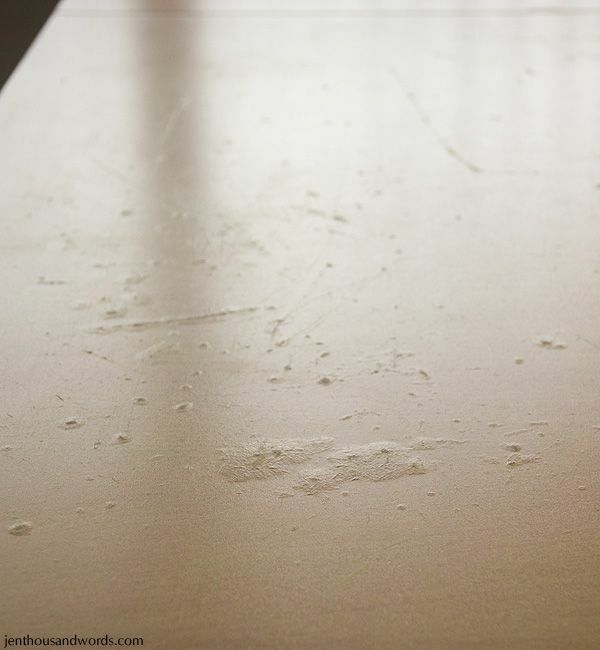 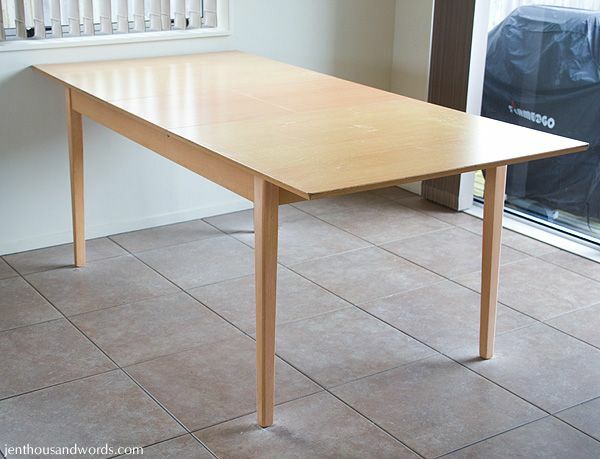 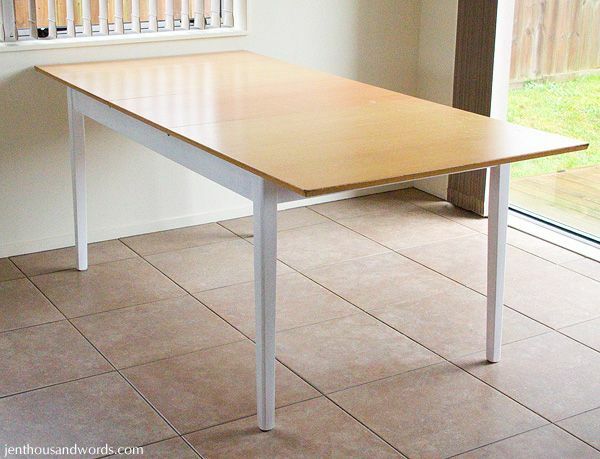 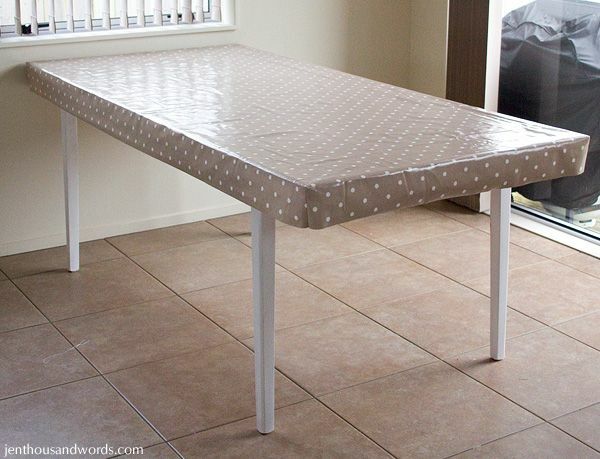 I don't want to wrap the table until the oilcloth is super smooth - if that will ever happen. 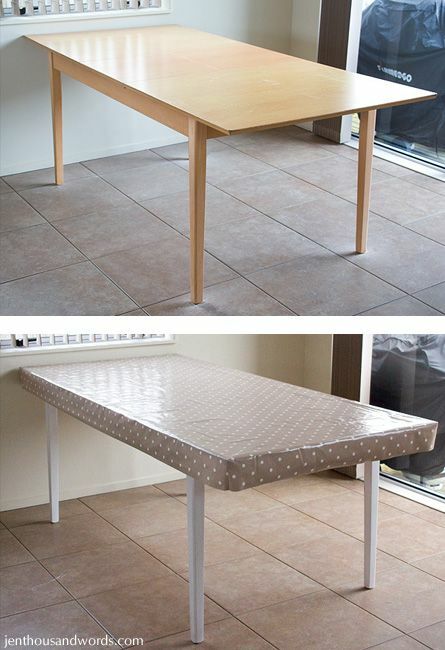 So I decided to make a fitted tablecloth instead. 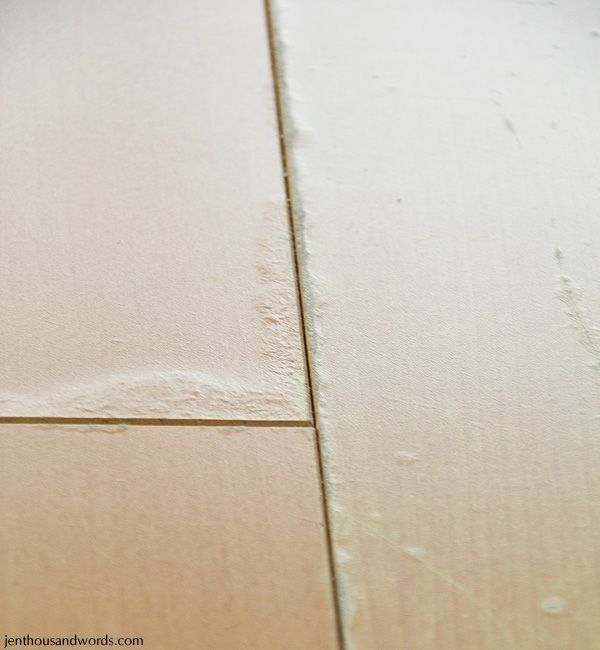 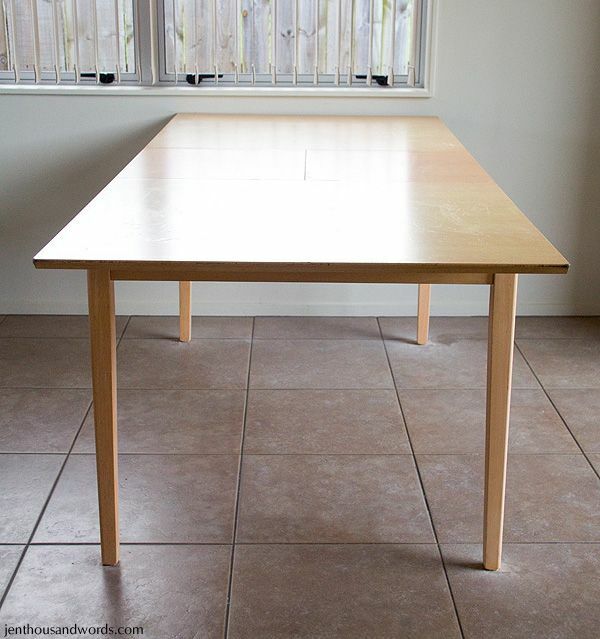 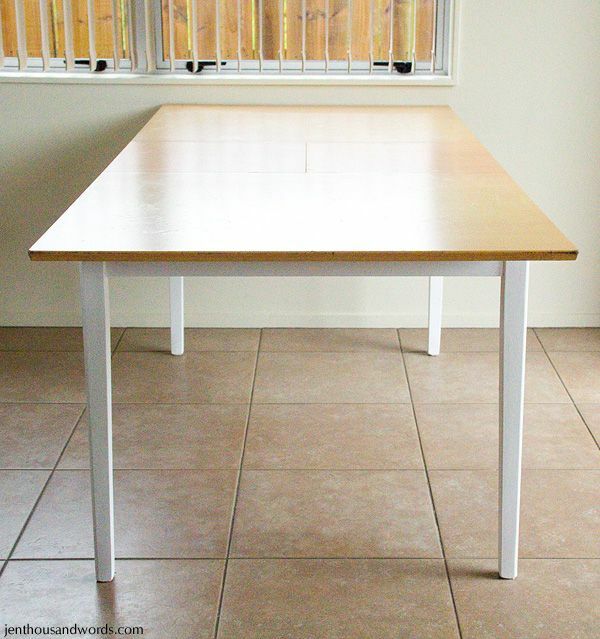 I measured the table, added 20cm to each side and cut the cloth to that size. 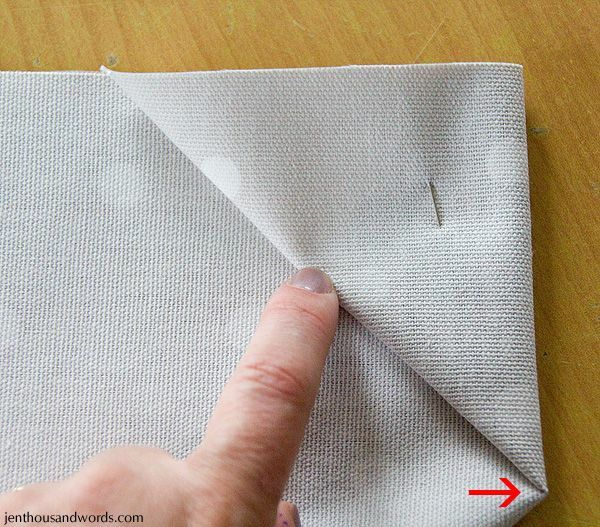 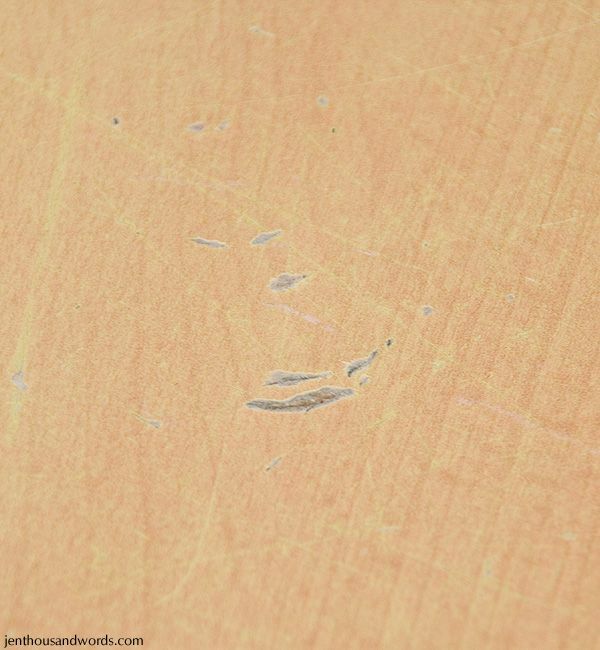 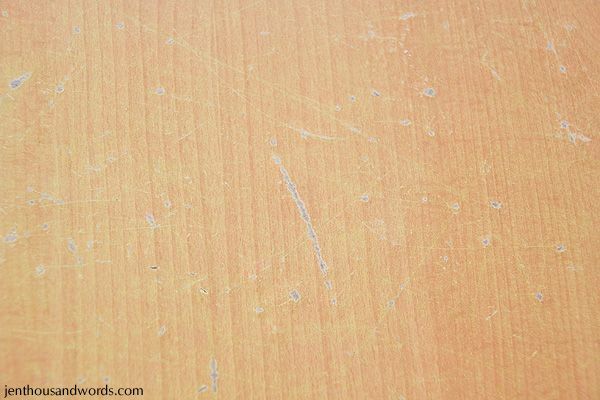 Then I put the oilcloth on the table upside down and folded the corners and marked them with a pen dot. 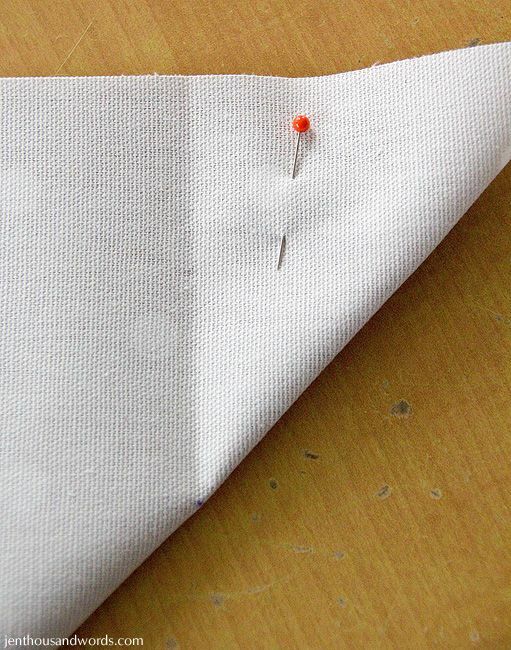 This gave me a crease exactly where I needed to sew. 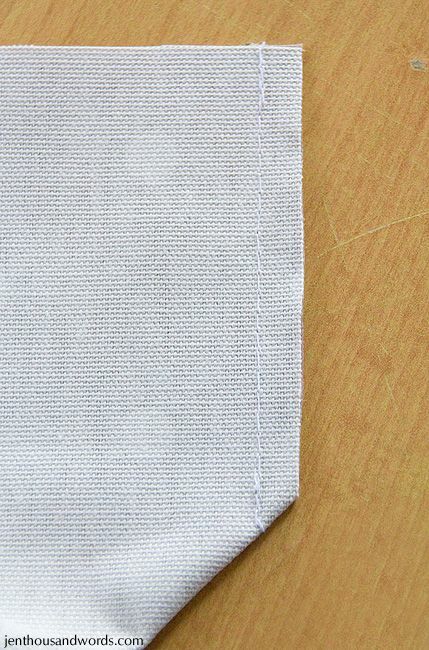 I sewed the corners and trimmed off the excess.